Henrik Harlaut is truly one of a kind. Few can match his talent and no-one does the ski industry quite like he does. 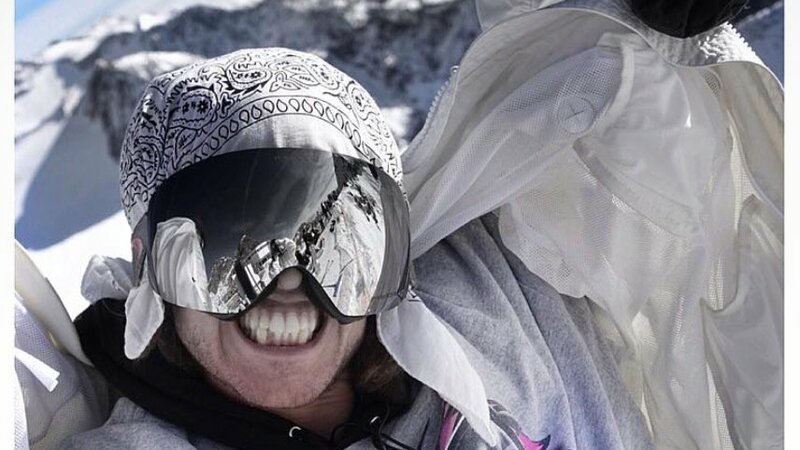 He is the only skier on the comp circuit that still travels around skiing street, backcountry, random small parks to hype the kids and then turns up at contests and blows everyone out of the water. Skiing used to be a pretty relaxed sport in which everyone did a bit of everything, but now the level of comp skiing requires a near full time commitment to training. With the exception of Henrik, whose event preparation generally seems to consist of the aforementioned travel, filming street and backcountry, miscellaneous other events and doing whatever he feels. It's certainly unorthodox, but you only have to look at his results to know he's doing something right. Perhaps the most impressive example of his unique training regimen occurred in the days leading up to his win at 2013 X Games Big Air. His ability to channel the same passion into two widely different events is unparalleled by any other skier. Just days before landing skiing's first nosebutter triple cork 1620, he and longtime friend Phil Casabon were skiing a tiny hill in Ohio. In fact they'd been stoking up the masses of kids who attended their Inspired Demo Tour: 50 resorts in 66 days. It had been some time since Henrik hit a jump, let alone one even remotely close to the size of big air, yet this didn't seem to phase him one bit. Prioritizing throwing down for the kids really displayed his desire to be more than a distant skier to those that look up to him, perhaps one of the reasons he's had such great success. A personal favorite Henrik moment of mine came about 4 years ago now. Actually, it's crazy to believe it was that long ago already. One of the hot topics following the addition of slope and pipe skiing into the Olympics was whether or not skiers would be drug tested. Henrik being the Wu-Tang loving, dreadlocked joker that he is, there was a little speculation around that being an issue for him. Living up to his light hearted reputation once again, Henrik delivered with this hilarious showing of some serious training on the Road to Sochi. In what seems to be more of a traditional take on preparing for a competition, take a look at this video interview with Henrik. Including the breakfast of champions, Q+A's, and some actual riding through the slope. Though it wouldn't be Henrik without a pajama onesie in the picture. The genuine hype illuminating his face is always contagious. "Hellooo!" And don't for a second think that Henrik's done yet. Instead he's continuing a busy schedule bouncing back and forth from the streets to the slopes. With multiple big air wins under his belt before the new year, things were looking good for this season. And so it was off to Dew Tour, where Henrik took home the top spot in the new slope format. Shutting out the competition in the jump section and slaying the rails, to take a well earned win. A win which came right in the middle of filiming in the streets, where Henrik has been stacking shots for his X Games Real Street part. It's worth noting that almost every other Real Street competitor was invited to some aspect of Dew and Henrik was the only one who felt able to take time out. The videos drop soon, expect more insanity from the dude who charges harder than pretty much anyone in all realms of skiing. He rounded off the filming period with a return to Big Air and Slopestyle at X Games this past weekend, where he was able to nab another podium spot on Saturday night, once again, proving his ability to come from one environment and perform in another. Training is a very singular process, but Henrik seems to consider the harmony of all aspects skiing offers to be the best practice. When you look back it's wild to see everything Henrik has juggled between busy contest seasons: The B&E Show, countless movies along with world-wide premier tours (BE Inspired will go down as one of the illest ski movies ever), the B&E Invitational, and probably more. Henrik is clearly one of the hardest working skiers out, theres no doubt he loves skiing with all his heart. We have no idea how he manages to do what he does, but it works for him and consistently gifts us the nuttiest skiing the world has ever seen. Long may it continue!